Deals are only good with a Jammin Pin. 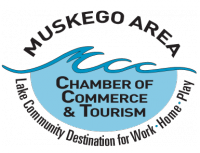 Pins are available through participating businesses and at the Muskego Chamber Office. $5 per pin. Deals available, June 1st thru September 1st. Please continue to check your pins on each Jammin day to see if you are a winner. The 3 GRAND PRIZES are a collection of items from each participating business as well as a great cash prize. Thank you for choosing to shop local in Muskego! 20% off Walgreens & Nice Brand items. Financial Peace, and more! Lakepoint Loves Families! Click Here for materials and seminars.